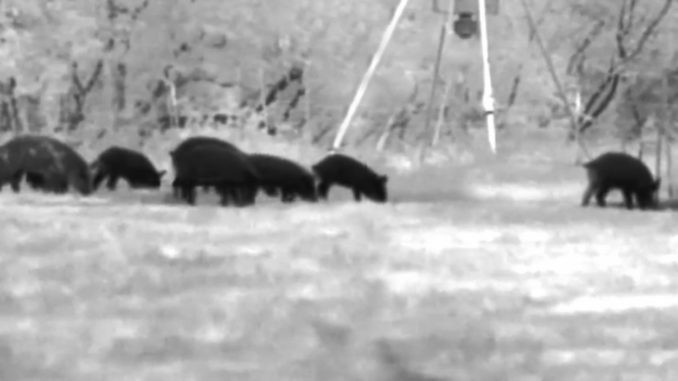 An Upstate hunter using a thermal scope mistakenly shot and killed a man during a hog hunt Wednesday night. Kenneth Jason Young, a 40-year-old hunter from Starr, S.C., was killed Wednesday night during a hog hunt on private property in Anderson County. Young was shot by another hunter who was hunting with a thermal scope. Chief deputy coroner Charlie Boseman said a female hunter mistook Young for a hog after she spotted him through her thermal scope. Young was apparently crawling on his hands and knees, according to the female shooter, who was not identified. “She saw the outline of him on all fours in the grass while looking through her thermal scope. She took a single shot, thinking it was a hog,” said Boseman. The single shot was fatal, and was reported around 8:30 p.m. near Gentry Road between Highways 181 and 81, and near Brooks McGee Road south of Starr, according to 911 dispatchers. Boseman said both hunters had permission to be on the private hunting land. The SCDNR and the Anderson County Sheriff’s Office are investigating the shooting.